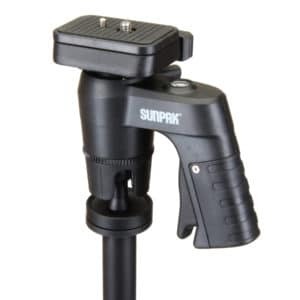 The Sunpak Ultra 6000PG high performance aluminum tripod with Compact Pistol Grip II ball head is perfect for any serious amateur on the go using todays latest HDSLRs, mirror less cameras or camcorders. 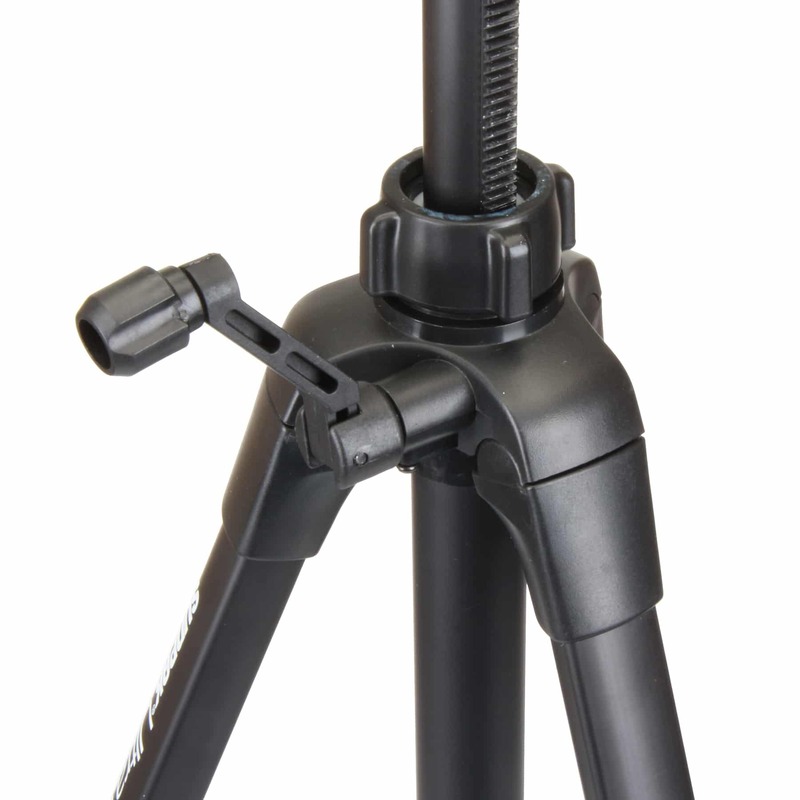 This is a light, full size and full featured tripod that stands a full 61” tall. 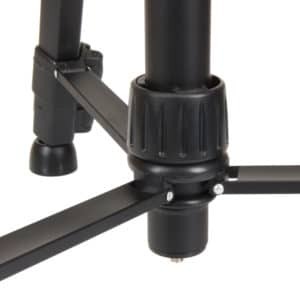 Most of all, it is one of the most affordable in its class. It also offers a geared center column with folding crank for perfect height adjustments. 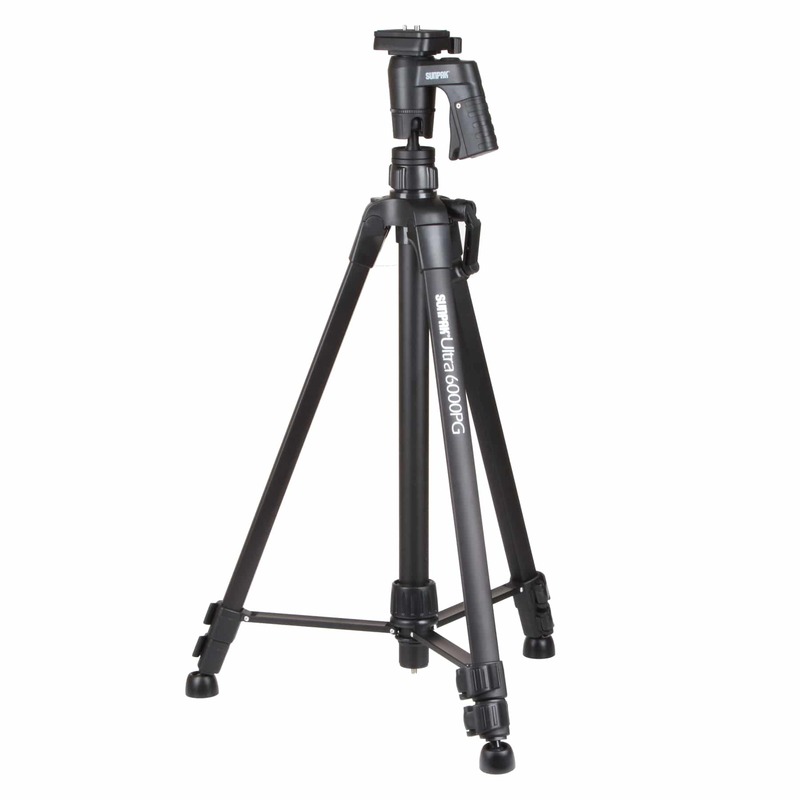 The Ultra 6000PG is constructed of strong and lightweight aluminum leg tubes for strength and load carrying abilities. 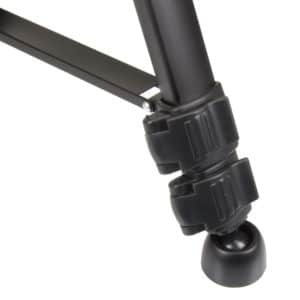 For setup the extra-large flip lever leg locks are easy to use, even with gloves on. 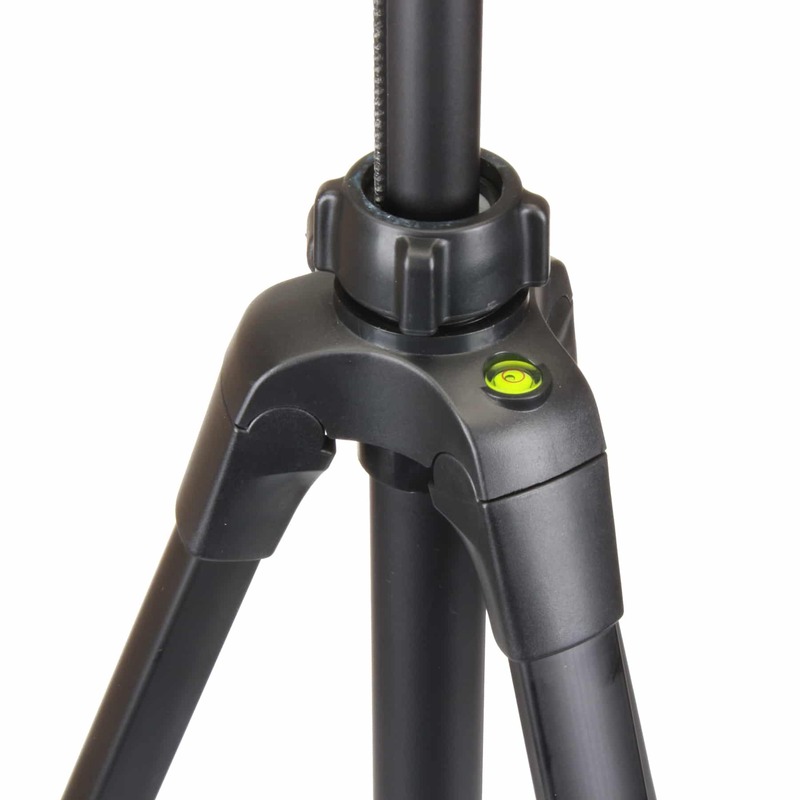 And the self-leveling feet make this tripod at home indoors and outdoors.